The Takeda Retain Intake is a short ram dual air intake system. 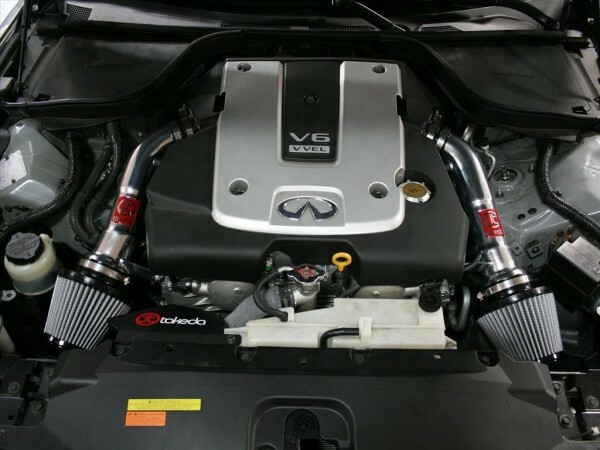 In recent testing this intake produced 18 hp and 20 lbs. x ft. of torque. 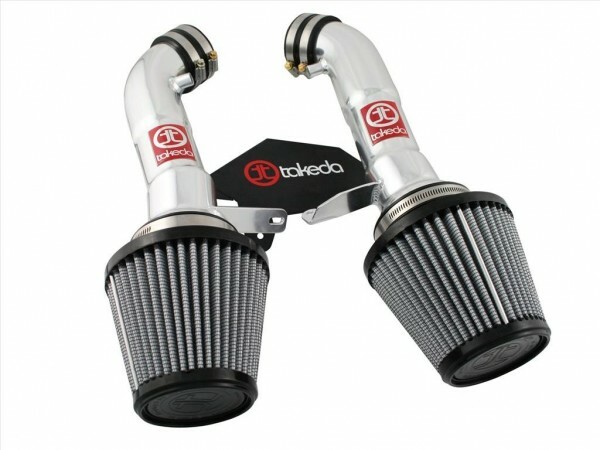 Takeda intakes are constructed out of lightweight clear coat anodized tubing for maximum air flow and a great style. Each intake uses a large 360 degree high flow Pro DRY S air filter for maximum flow, filtration and convenience. The Pro DRY S air filter requires no oils and cleans with simple soap and water. Takeda intakes come complete with all tubing, filters, couplers and hardware for an easy installation.